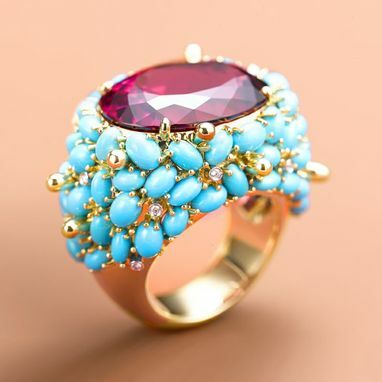 This is a unique British design with 18 kt gold and real center stone ruby of approx. 15 ct. and real turquoises around it twct of 3 ct. . All turquoise stones are custom cut in different sizes.